Material: Glossy Paper, Matte Paper, Art Paper, offset paper etc. 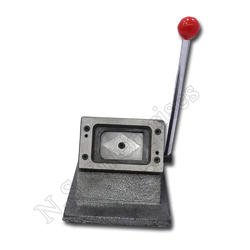 Being the foremost company, we are offering an exclusive collection of ID Card Cutter. This product is designed with industry norms. 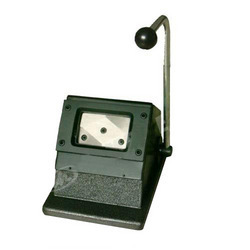 High quality ID Cutter used for ID Cards Making. The expertise of our organization lies in providing Card Cutter Machine to our clients. The experts of our organization have done rigorous inspection of this card cutter before delivery to our clients. We are engaged in providing a wide range of Card Cutting Machine to our clients. Backed by rich industry experience, we are involved in offering our clients a wide range of PVC Card Cutters. - Cutting size: 54 x 86 mm. - Capable to Cut: Ideal for cutting membership cards, loyalty cards, ID cards, as well as wallet size photos. - ID-Photo cutter is a professional tool to cut identification photo in one simple action. - It is accurate, convenient and efficient.